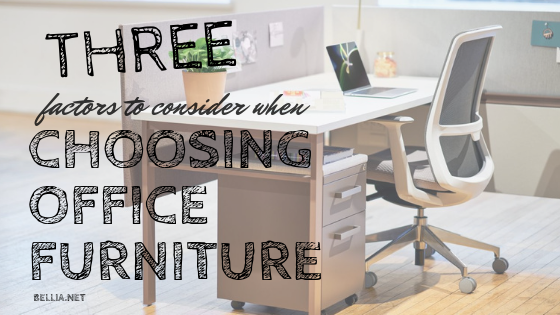 Because your new office furniture is meant to last for years, it’s definitely not a decision that should be rushed or made lightly. It is important for office furniture to be functional, but furniture also changes the look and feel of a space. Before furnishing your space, it is important to contact a professional that can evaluate space and help you choose furniture that will be perfect for your business–a professional will consider the needs of your staff, budget, brand and other factors that an untrained eye may not think about. COST. Office furniture is an investment, so you want to have a budget in mind. Having a realistic budget will help you narrow your choices, what items are essential and where you can cut corners. A professional can help you make your budget work for you. QUALITY, COMFORT AND FLEXIBILITY. Comfort and flexibility is important for your employees, but it is important to also purchase furniture that is of good quality and from a reputable source. Office furniture should last you for a long time because it is an investment. When you choose furniture that is of high quality and ergonomically designed to suit the needs of your employees, it ends up saving you money in the long run. Are you ready for a new look for your office space? Let Bellia help. We have been in the furniture design industry for 40+ years, and we work with a large network of furniture manufacturers. We stay on top of trends and are aware of the latest innovations, so as we are sourcing products for your space we are not just taking into account the overall design and aesthetics, but also your needs and your business goals.